"Electric" is just one way of describing America's #1 show band: The Voltage Brothers. 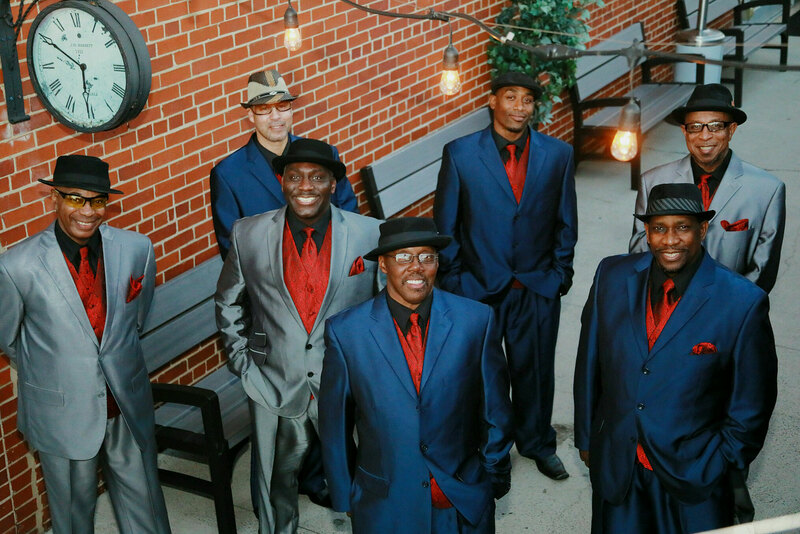 Performing top hits from every genre, The Voltage Brothers' repertoire consists of your favorite R&B, swing, Carolina beach music, disco, funk, hip hop, jazz, Motown, pop, and even classic rock hits. 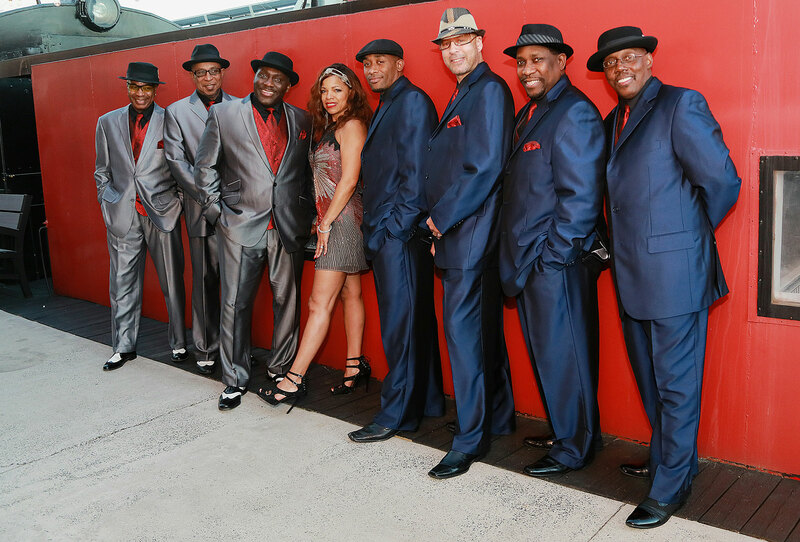 The Voltage Brothers have traveled the world with the Kool Jazz Festival and appeared with renowned artists including: Frank Sinatra, The Temptations, The Commodores, The O'Jays, Kool & The Gang, Gladys Knight and the Pips, and Earth, Wind, & Fire. They performed at nine straight Super Bowls from 1991 to 1999. They have been headliners at the annual Willie Stargell Foundation Fundraiser since 2015. Additionally, they were special guest artists at the 1993 President's Dinner in Washington, D.C., the Presidential Inaugurations of 2000, 2004, 2013, and 2017. As well as the 1996 Olympic Games in Atlanta. From the White House to your house, The Voltage Brothers' ultimate goal is to deliver an outstanding performance at your next special event. - The Voltage Brothers can add a female vocalist to the band. - The Voltage Brothers perform an incredible 30 minute acapela set. What better way to greet your guests as they arrive for the party. - The Voltage Trio is a perfect way to kick off the evening by providing appropriate dinner or cocktail music. Ask your entertainment provider for additional information regarding the above services. The Voltage Brothers - pure electricity! Once again, we were blown away! The Voltage Brothers were awesome! We couldn't have been more pleased! They did a very nice job and were very easy to work with and professional! Thanks for checking in! The Voltage Brothers were great as always. Viola was also fun to work with. Thanks for helping me pick a good band that made the evening fun. They were AMAZING last weekend. So good, professional and easy to work with. I love me some Viola! She runs a tight ship! It was incredible!!! Thank you for all of your hard work with us, everyone LOVED them!!! I cannot wait to work with you again.